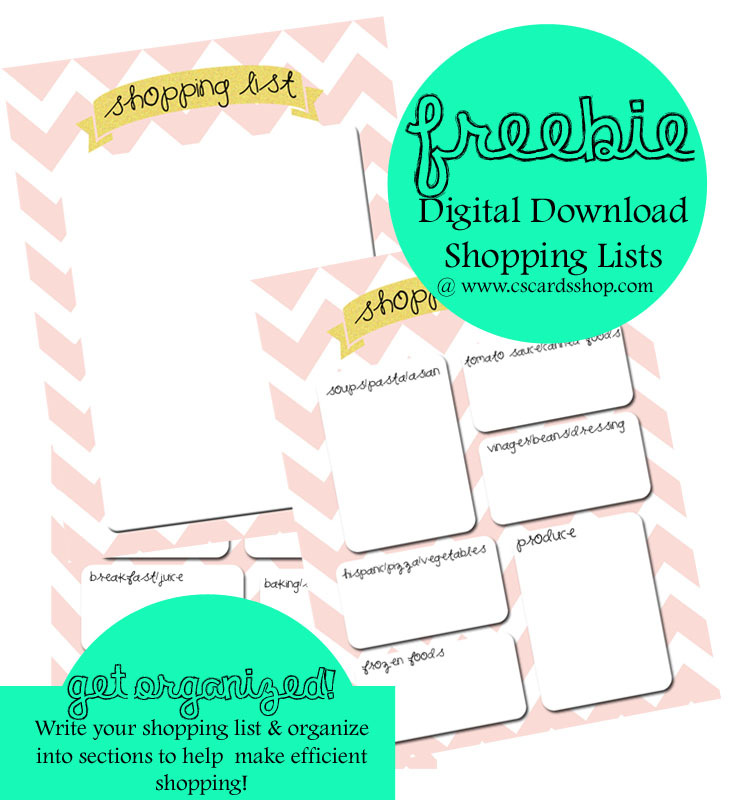 CS Cards: Free Grocery Shopping Lists!! Hello! Thanks for stopping by! So I wanted to share something that I use almost every day in my home, as well as every time I go grocery shopping! I used to have lists and lists of papers that were scattered all around my house, and could never find them when I actually went to go grocery shopping! So I made these lists and they have helped me 100x over! I keep the lists laminated and then use a dry erase marker so I can re use them! Or you can keep reprinting them when you need them! I use the blank shopping list to keep my continuous, random items on it. Then when I sit down to make my grocery list, I take all 3 papers and I organize each item, so when I go to the grocery store they are easy to find instead of walking back and forth in the store or forgetting something!! So I hope you enjoy them as much as I do! You are welcome to click on the link and download onto your computer! Then you can print them on your home printer, or send them to your favorite print shop! Feel free to comment with questions! Click HERE for the download page! Thanks or stopping by, ENJOY!